I’m so in awe of you for having the talent that you do. I would not even know where to start. I guess that is why I’m I reader and not a writer!! An island in Maine sounds really good to me. I remember visiting Maine when my cousin was a customs agent there. Bodies were the least of his worries. Baggage and cargo carried all kinds of bad stuff—though they even carried a body sometimes too. Sounds like a good book to read and review!!!! 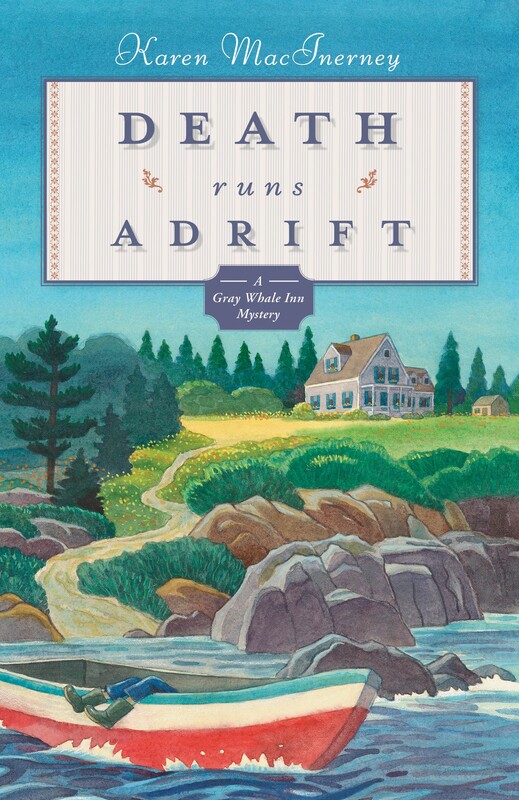 I am looking forward to reading Death Runs Adrift as soon as I read the book before this as I only like to read in sequence. I live in MA so love all books written about anywhere in New England so this was a must have series when it came out. Have enjoyed Karen’s writing very much and will be happy to read this one too. Thank you for the giveaway too. Fascinating book and wonderful setting. What a great interview. Many thanks. I enjoyed this interview because I got to know a little about you, the author, and a small glimpse into you the person. I love the part where you said whatever your books do when they go out into the world, it makes you the happiest. There are so many more points like that in this interview. Thank you, and now I can’t wait to get a chance to read your books and add you to my author list to read. I quilt. I would love to take up either pottery or jewelry making. Thanks for the giveaway. I love to garden, which to me is a personal process to create beauty in the world! I would love to read this book—thanks for the opportunity to win a copy! This book sounds great. I love finding new great authors. Thanks for the giveaway. Love this series! Thanks for the review and giveaway.